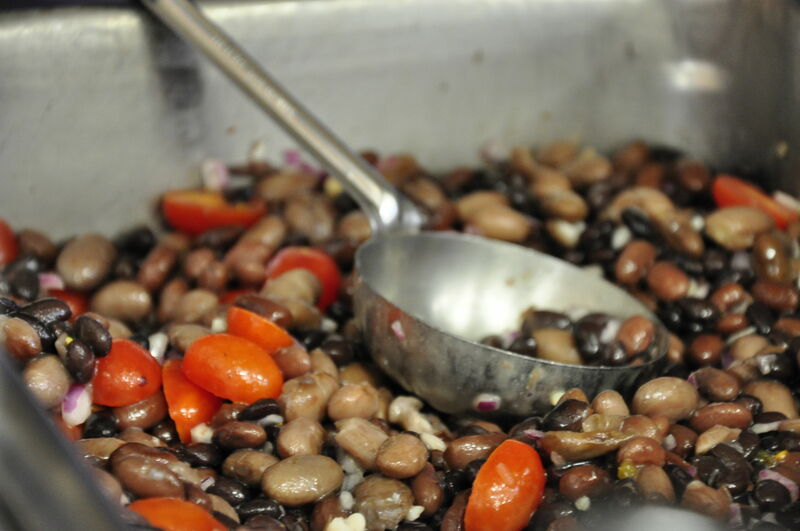 In February, students in Dexter schools tried a new, local item: Calico Bean Salad made with Michigan-grown Dry Beans. It was served in all six schools on 2/23 and 2/24. The beans were grown on Carlson-Arbogast Farm in Howard City, MI. They included cranberry beans, black beans, and little red beans. The salad was a beautiful mix of the three beans, cherry tomatoes, chopped red onion, and a tangy dressing. Some schools even added some edamame in for color. Calico Bean Salad at Wylie Elementary with Edamame added. 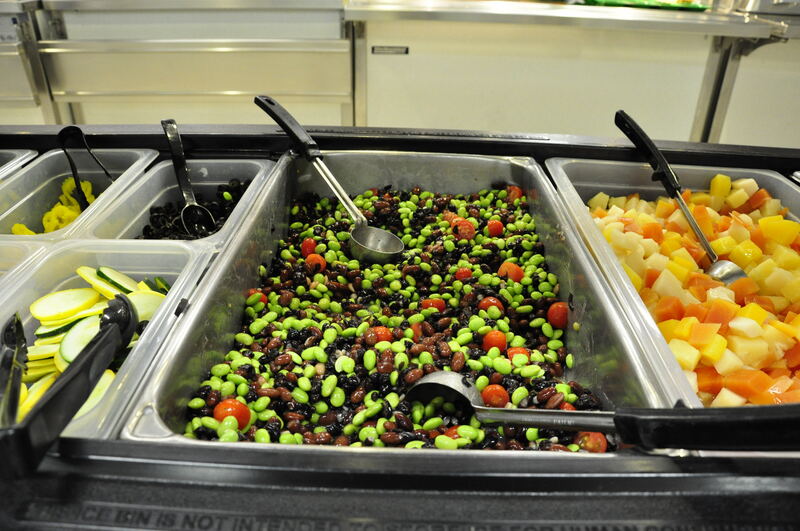 The bean salad fit in nicely with the other fresh foods on the salad bar . . .
Dry beans are grown in Michigan in great quantities and they represent a fantastic opportunity for connecting kids with food grown close to home. They are also a healthy source of fiber and protein and are versatile in the kitchen! We hope that this year’s dry bean feature will represent the start of a new idea for food service that will provide a healthy to benefit Dexter students for years to come.